the Department of Commerce, rising by only 0.6% on a 12-month smoothed basis, its smallest monthly increase in more than four years. The rise was much lower than the increase in total goods spending, which rose by 3.7%, and non durables spending, which increased by 2.5%. 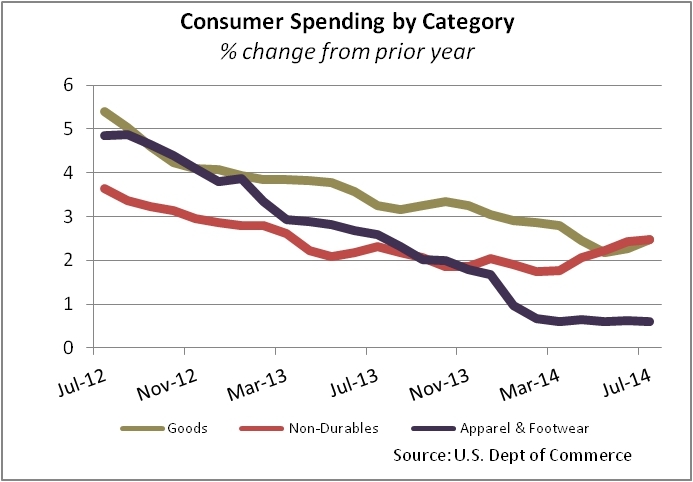 Apparel and footwear spending growth has slowed from a peak of 6 percent in March 2012 to where it is today-not even keeping pace with inflation.